Yamuna is reading my aura—whether I like it or not. The Costa Rican native has been wandering the grounds of Chablé Maroma, a new wellness retreat in Mexico’s buzzing Riviera Maya, with a clay pot of smoking incense in his hand all morning. I first glimpsed him at the pool, assessing the energy of a mother and daughter before they set out on a snorkeling exhibition among the reefs just off the resort’s golden beaches. Billows of odorous smoke had been wafting through the resort’s grounds for hours: among the winding jungle footpaths, around the palm trees on the beach, even by the restaurant. I saw Yumana only on occasion, but I seemed to smell him all the time. That is, until I arrive at Chablé’s spa and, without introduction, Yumana takes of my sunglasses, raises my arms to my sides, and gently tells me to close my eyes. “I see orange and yellow,” he says. “Do you see it?” Nope. “Open your eyes and look at the sun,” he says. “Now close your eyes.” Tiny puffs of air swish across my face as Yumana waves his hand in front of my eyes. And then strangely, there it is: orange and yellow. Must be the power of suggestion, I decide. You don’t have to be a spiritual person to visit Chablé Maroma, but it certainly helps. 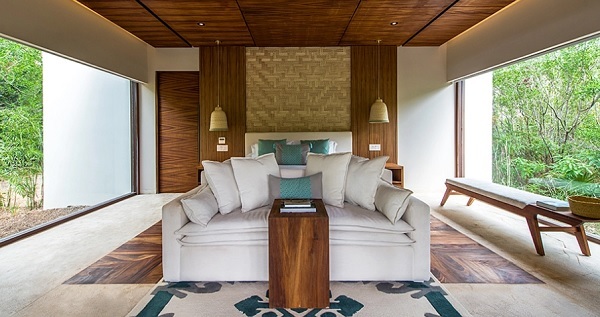 The resort—the second from the Chablé brand, which opened its first resort in Yucatán in 2016—isn’t merely about facials and massages (though there’s plenty of those, too). 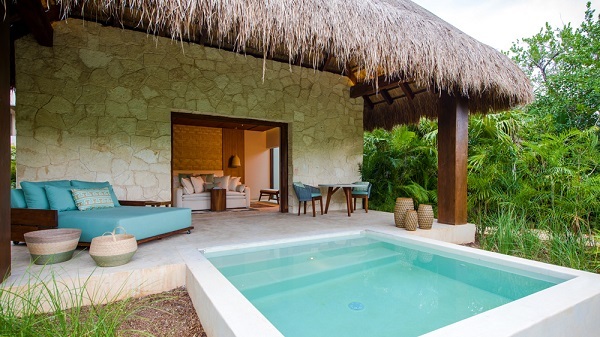 Deeply connected to the Mayan culture of the Riviera Maya, the property has built a traditional temazcal for ritual baths and translocated an ancient Alamo tree—revered among the Mayans for their spiritual qualities—for meditative ceremonies. 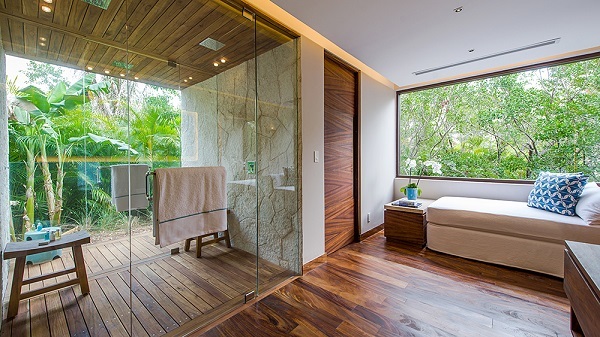 The spa’s menu abounds with similar depth: The Tree of Life four-handed massage, for instance, promises to align the body, mind, and soul in a “cosmic dance.” It even includes a conch-blowing ceremony on the beach.